This is official. Smart Communications unveils the SmartBro Rocket WiFi Plus, promise to bring up to 20mbps of speed, the country’s fastest mobile broadband service to be offered so far. 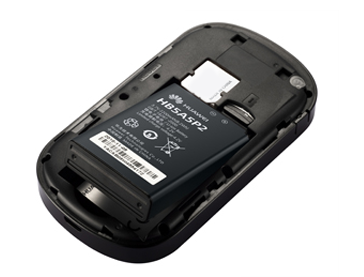 SmartBro Rocket WiFi Plus is a portable router capable of handling around 20mbps of bandwith using the Smart’s 4G HSPA+ network that can run 5 gadgets simultaneously connecting the internet for only P6,495. “If you thought the 12Mbps Rocket Plug-It was already ahead of its time, the Rocket WiFi Plus will blast you off even farther into the future,” said Smart Broadband Internet and Data Services Head Gio Bacareza. “The Rocket WiFi Plus can reach a ‘conservative’ 20Mbps on our 42Mbps network,” he added. 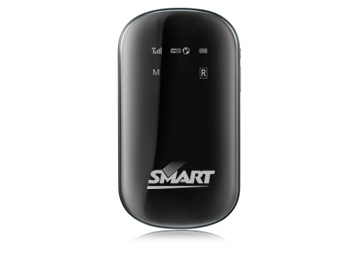 SmartBro Rocket WiFi Plus is now available for Pre-order (from October 7 to November 11, 2011) but exclusively in prepaid and uses the same P200/180MB pricing scheme as that of the Rocket Plug It.